IRDMatrix, Inc. supports veteran workforce education and training (VET-WET, USA) and women-in-construction. As overseers of training and development, we create work-n-train ops for veterans and women via historic preservation jobs and apprenticeship programs. Our mission and to bridge the gap about training initiatives and gainful employment of veterans and women in nontraditional work. We aim to supplant missed opportunities relative to historic preservation as an economic engine and other sustainable preservation initiatives. We lend technical assistance about local sustainable preservation initiatives and planning in support of preservation, protection, and restoration (PPR) of historic structures and other resources. 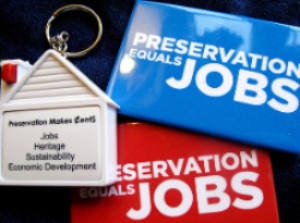 IRDMatrix affirms 'preservation ethos' as an economic generator of decent jobs, goods, and services and favors local service economies and improved living standards for all. To learn more about IRDMatrix and our support for veterans employment opportunities and access and women in construction continue reading at our website. IRDMatrix lends technical assistance about historic preservation as economic engines and sustainable preservation initiatives. As workforce intermediary, we generate (historic) preservation jobs in support of veterans and work-n-train opportunities and women-in-construction.